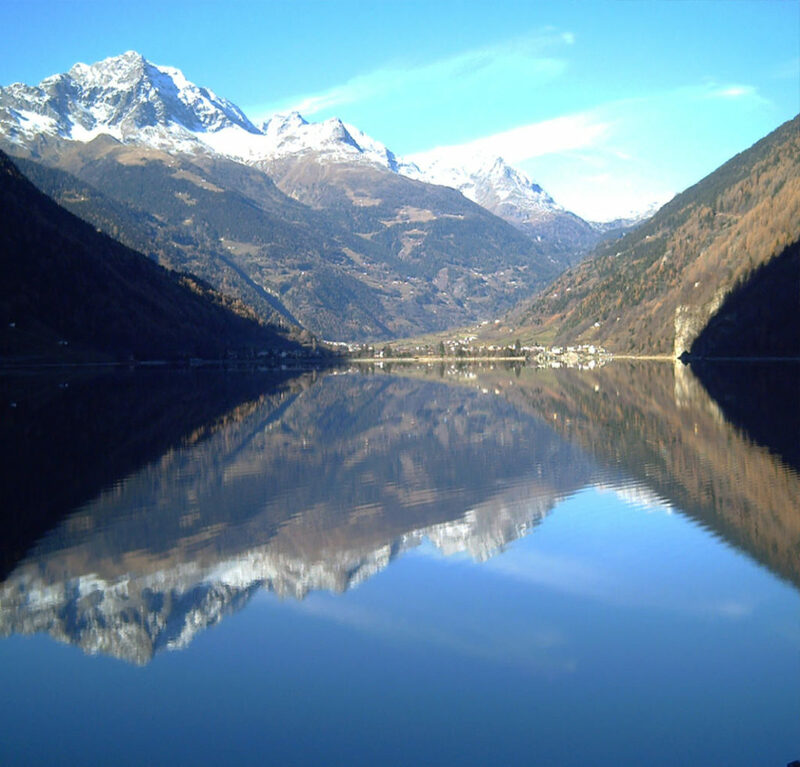 Livigno Lake, also called Luwiner See, is a reservoir at 1,805 m of altitude with the largest part located on Italian terrain. Only at the 130 m high dam, which is located to the north of the lake at the Swiss-Italian border, is about 2 km of the lake located on Swiss terrain. On the southern tip of Livigno Lake you’ll find the winter sports destination Livigno. A place immersed in nature, where teenagers, adults and whole families can enjoy themselves in the open air and have fun in safety, on paths of different heights, between millennial larches. Among the most famous and renowned Alpine resorts, the Swiss town of St. Moritz is a place of great charm and elegance, nestled in the extraordinary lake landscape of the Upper Engadine. Cosmopolitan and effervescent, with its particular climate that boasts 322 sunny days a year, the country offers a rich offer of events, wonderful opportunities to enjoy art and culture, high-class gastronomy and interesting activities for all seasons. A trip to the enchanting St. Moritz offers the opportunity to visit the Segantini Museum, with its amazing collection of works by the famous Italian painter, the precursor of modern art. Built by the architect Nicolaus Hartmann and featuring a majestic dome, the museum was originally built to welcome the wonderful “Trittico della Natura” – three enormous canvases of the Segantini entitled to life, nature and death – which were later added to the numerous works today exhibited. a place of discoveries and emotions. The Stelvio National Park, around the Ortles group, is one of the largest natural reserves in Europe. Famous for its uncontaminated landscapes and the many species of fauna that it hosts, the rich territory of the park contains picturesque medieval villages that offer fascinating views to visitors all to discover. Human verification (required): 8 + 6 = ?